Don’tcha love it when people say “The fun thing about…”? Like there’s only 1 fun thing about what they’re talking about. Yeah, no – too black and white. Being an event photographer is just fun! The places, the events, the energy, and of course – the people. 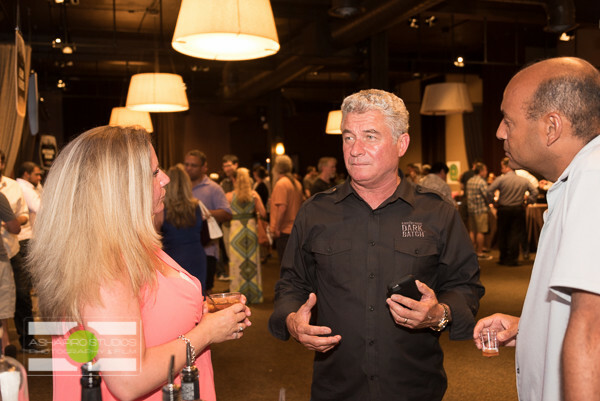 Shooting events in the liquor industry? Those are my people. Event Marketing people are great. Sports Marketing people are great. Corporate Event people are great. Holiday Party people are great. But the spirits industry people… are my people. They work in an industry that is designed around having a good time! Monday night’s shoot was just that – a really good time. 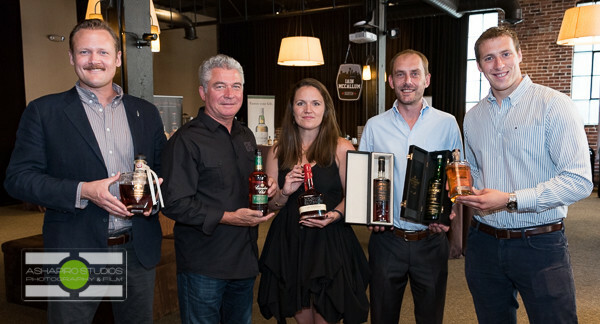 Monday night was the kick-off of Whisk(e)y Week in Seattle with Beam Suntory. 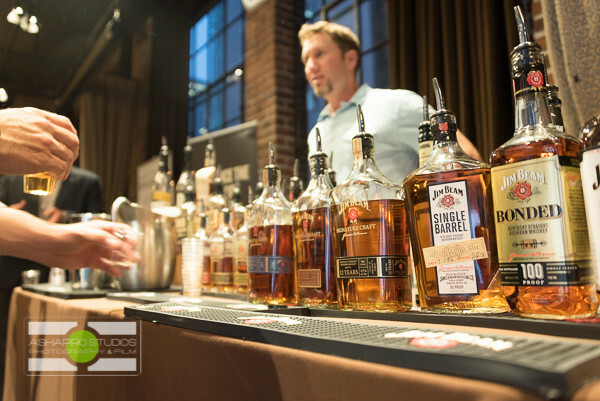 Guests were all spirits industry – bartenders, bar managers, spirits journalists, bloggers… great food and a whole lot of great whisk(e)y! 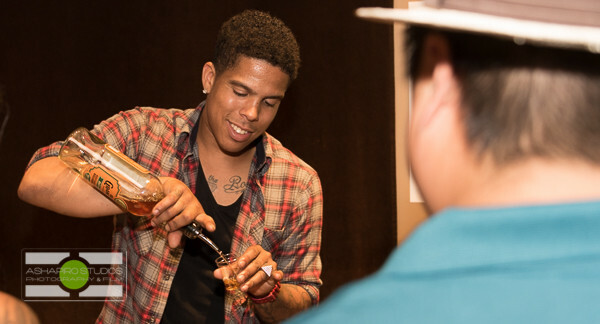 Ambassadors from around the world are in town to talk whisk(e)y for the next 5 days, and this kick-off event was just the beginning of the fun. Fun Side-Note: Scottish Whisky (or just Scotch) is never spelled with the ‘e,’ where Irish Whiskey always has the ‘e’ in whiskey. The Canadians, Japanese and others spell the Scottish way most often, where in the US we usually spell the Irish way. 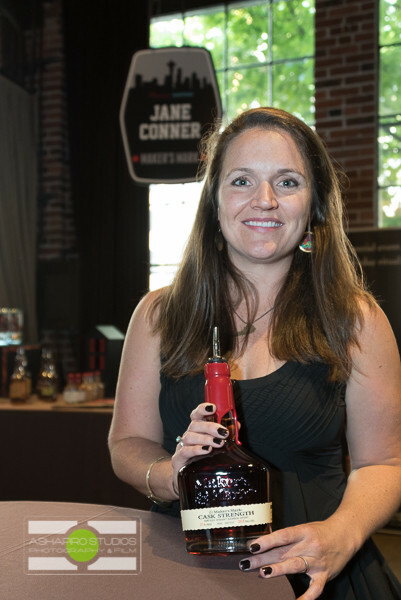 In the industry, many are turning to combine the two into just “Whisk(e)y.” Tho, one of the US whiskies last night – Maker’s Mark – spells the Scottish way. So, what’s the difference between Scotch and Whisk(e)y? Between Bourbon and Whisk(e)y? That’s like asking what the difference is between Huskies and Dogs. Or the difference between Poodles and Dogs. Huskies are dogs, poodles are dogs, Scotch is whisky and Bourbon is whiskey. The names tell you a little about where it’s from, how it’s made and what grain is used, but overall they’re all close family members. 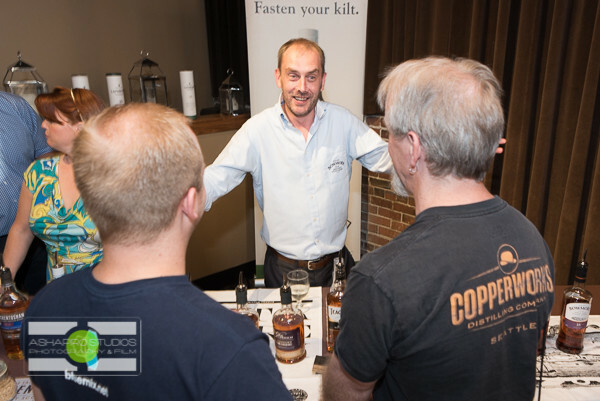 Learn more about that from my alter ego, The Whisky Guy. Monday night’s venue was also great – The Palace Ballroom on 5th Avenue in Seattle’s Belltown neighborhood. Owned by celebrity Seattle chef Tom Douglas, it’s across the street from one of his restaurants, Palace Kitchen. Next time I see you, remind me to tell you about the desserts at Palace Kitchen. Palace Ballroom is a great private event space – beautiful, a great size, well laid out… drum lights hanging from the ceiling, huge windows letting in lots of natural light… all combining to make a challenging space to work in, too. But that was the fun thing about this shoot! Wait, no – it was the people. Uh, no… the food. Wait – the drinks. Yeah … well, no – it was all fun! Seriously tho, the challenge of shooting in that space was one of the many things that made the shoot fun. It made me think, and work to get the shots I wanted (and that the client was expecting), and was changing fast enough that the entire night was an exploration into how to light a scene to get great images. I used an SB-910 speedlight, sometimes on a GorillaPod and fired using PocketWizards for strong side light, a little fill light, or just for an extra pop of something. Fun photographer geek side note: When using a PocketWizard with a strobe, I (almost) always shoot in manual. I’ll (usually) set the strobe to manual too, and change the output of the strobe based on how close it is to the thing (or person) I’m trying to light. The closer they are, the less light output I use from the strobe. I control the ambient light (or, how much of the natural light is in the scene) using shutter speed. Do I want more of that natural light? Slow down the shutter. Less natural light? Faster shutter. The amount of light the camera ‘sees’ from the strobe comes from the aperture. Strobe look too bright? Make the aperture smaller. Not enough light from the strobe? Larger aperture. If I did it more I might invest in the TTL-enabled PocketWizards, but I just don’t need those – and neither do you. Learn how to use what you have. 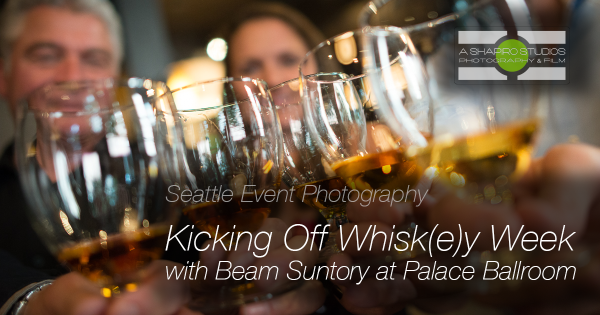 Look for Whisk(e)y Week events happening in Seattle through Friday, and see the whole gallery of Seattle Event Photography from the Whisk(e)y Week Kickoff at the Palace Ballroom. In the meantime, I’m off to Dallas for the CONCACAF Gold Cup! Check out Part 4 in that blog series, and look for photos from Dallas soon.